Selecting the right preschool for your toddler can indeed be a tough task for parents, especially in a city like Mumbai where a new school comes up almost every day. What is it then that makes a school different from others? 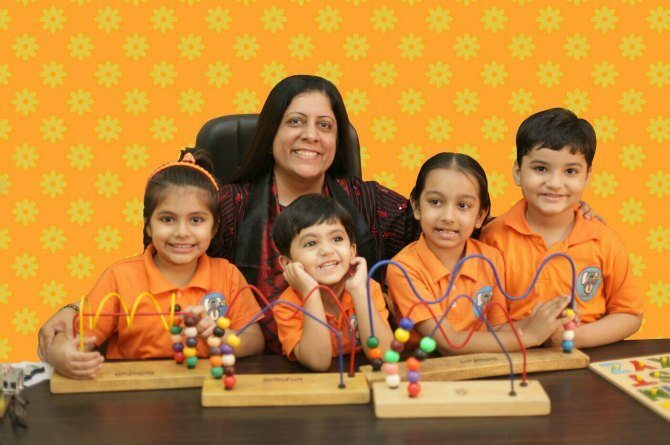 What are the parameters which parents should keep in mind when selecting a preschool for their precious child. 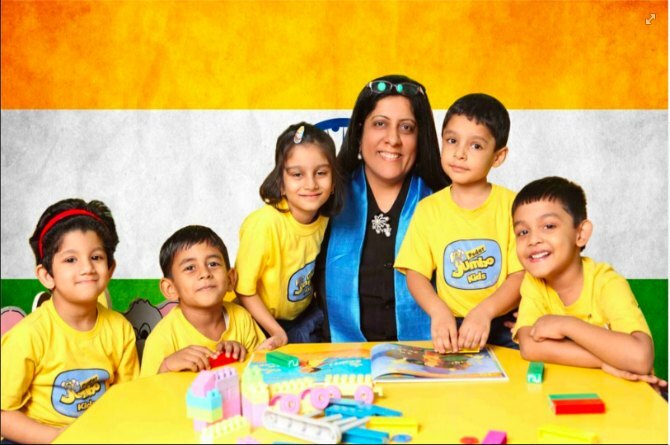 The Indusparent caught up with teaching expert and parenting guru Swati Popat Vats, the name behind Mumbai’s number one preschool Podar Jumbo Kids, to understand the deciding factors that play a key role in ensuring that your child is in the right hands. 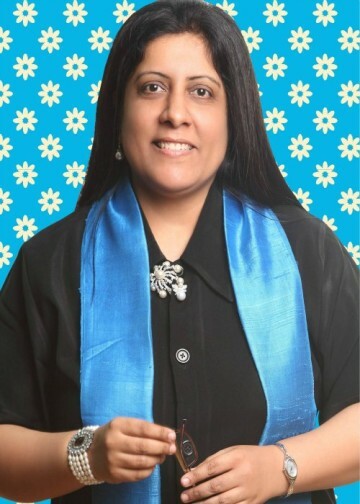 She is the President of Podar Education Trust and the President of Early Childhood Education Society of India. Here are the five things that she feels parents should keep in mind when selecting a preschool for their precious little ones. Teacher training is the number one of her list as it is the teachers that shape the children and mould them into better individuals. “A school is the second place after home to which a child goes to for the first time and it is the teacher that makes him feel at home and comfortable. At such a young age, children look for a motherly figure to take care of them. This is why teacher training is important and it is essential to have teachers who know how to ease off separation and stranger anxiety. They should be trained in calming the child not in stressing and upsetting them as they are toddlers are extremely fragile emotionally,” she adds. The curriculum also plays an equally important role, which is why Ms Vats keeps it at the second place. She adds that it is important for the parents to understand what curriculum actually means instead of just following the fad. “I have often seen that parents tend to confuse the curriculum with the syllabus, which should not be the case. The focus should be more on what is the school going to teach the kids and in what manner. The attention should be more on how they learn and not on what they learn,” she says. “The old school teaching methodology of rote learning such as writing alphabets 100 times, will not prepare them for the competitive world ahead. The attention should be on developing logical thinking and creativity, independence and self-help skills that would make them confident leaders of tomorrow. The curriculum should highlight the philosophy that the school follows, whether they have a play way kind of a system, whether it is project-based and what the school believes in,” she says. Safety is the third-most important thing on her list, but one that is related to the first point that she mentioned above. “Thirdly, I think safety is very important. I did not make it the first point because if your have trained teachers they would make sure that the kids are safe. The teacher should be trained enough to handle children and make sure that the school is a safe haven for them,” she adds. Emotional safety of the child, which involves understanding how threatened the child feels and what is going on in his mind and easing it. Environmental safety which involves teachers being alert all the time and doing a head count every now and then. This is because a child can just slip outside and sit down in a corner or just fall asleep somewhere. Teachers have to be on their toes all the time and do whatever it takes to take care of the emotional and physical well-being of the child. Read on to know about other factors that are important while selecting a preschool for your child. “The environment plays an imperative role in the emotional health of the child. A school, which has a healthy classroom environment sees that the children’s voices are being heard and also plays attention to how often they are heard. Simple things like displaying drawings and other artworks made by the kids make children more confident and helps them look forward to other activities,” says Ms Vats laying the emphasis on parents paying attention to the environment of the school, which is why they should always take a tour of the school before and meet the teachers beforehand. #5. Who’s running the school? “The last thing, which I feel that it very important is who is running the school, whether it is a businessman or an educator. If the school is being run by a hard-core businessman, there are chances of the quality being compromised and the school authorities would cut corners to save money and the first thing they’d do would be to get untrained teachers. However, if the school is being run by an educator, the quality would be put above everything else and the focus would be more on teacher training and the curriculum,” she says. How Podar is different from other schools? Ms Vats says that Podar Education Network makes sure that each of these above-mentioned points are adhered to, which is what makes them stand out in the crowd. Teacher training: Podar has a teacher training college which follows global practices that are research-based and not fad-based. Currently, they have 600 teacher trainees and an excellent faculty that leave no stone unturned to mould them into better teachers of tomorrow. They keep religion out of education: Podar Jumbo Kids has a secular policy, which is why they celebrate every religion and do not just blindly follow the herd. “That’s for grand parents to teach to their kids. We try to inculcate the ethos of the religion and find a message that’s hidden behind the philosophy of each Indian festival. When we celebrate Eid we emphasis on the community spirit behind the festival and not the religion. Similarly, when we celebrate Ganpati we emphasize more on eco-friendly Ganpatis and how children should not forget about the environment during celebrations,” adds Ms Vats. Value-Based Education: Podar has a value-based educational system and they do not encourage anything that harms the kids whether it is enlightening them about junk food or any other practice that gives them a better quality of life. “We are not in this for competition, we are in this solely for education and for the better future of our kids,” she sums up.